Located on the southwestern shore of Lake Michigan, Chicago is the largest city in Illinois, and 3rd largest in the United States over all. As of the 2000 census, the city iself had a population of 2,896,016. Additionally, when combined with its suburbs and the nine surrounding counties in Illinois, Indiana and Wisconsin, the metropolitan area (known as "Chicagoland") has a population of almost 10 million. The city has a highly diversified economy, including financial services, manufacturing, printing and publishing. Chicago is home to the nation's 2nd largest business district (after New York City), and the 3rd largest media market (after Los Angeles and New York City), and four major financial and futures exchanges. Probably the best known educational institution in Chicago is the University of Chicago, which is a private university that was originally founded by John D. Rockefeller in 1890, and held its first classes in 1892. Professional sports franchises in Chicago include the American football team, the Chicago Bears, the baseball team, the Chicago Cubs, the baseball team, the Chicago White Sox, the basketball team, the Chicago Bulls, and the NHL ice hockey team, the Chicago Blackhawks. Some of the major companies with their headquarters in Chicago include Boeing, Exelon and Sara Lee. Major airports serving Chicago include Chicago Midway International Airport and O'Hare International Airport. Chicago is home to a unique style of pizza, known simply as Chicago-style pizza. Chicago-style pizza is very a deep dish pizza, more like a casserole or lasagna than traditional thin crust pizza, and which was probably invented at Pizzeria Uno in Chicago in 1943. 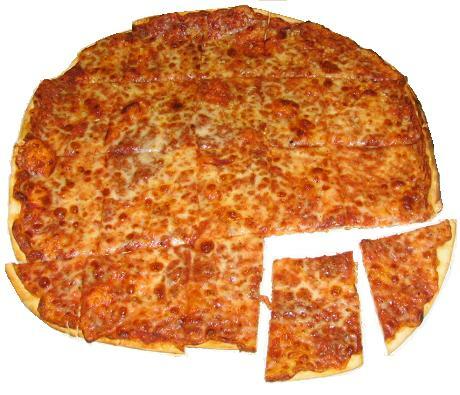 Additionally, there also another style of pizza that is unique to the city, sometimes known as "flat pizza" which has a crunchy texture and is usually cut into squares (known as "party cut"). 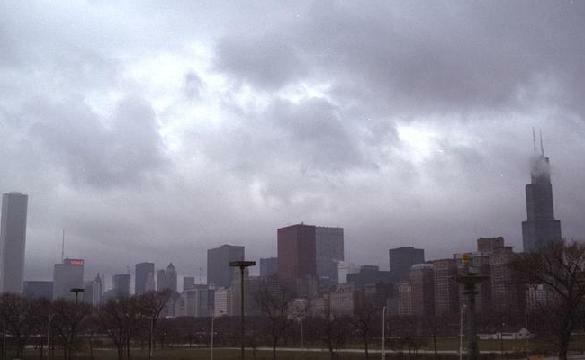 Chicago's nicknames include "Chi-Town", "City in a Garden", "The City of the Big Shoulders", "The City That Works", "The Second City", and "The Windy City". • Free, color pull-out map (print edition) marked with sights, a selected sight and street index, public transit map, practical information on getting around, and a chart for measuring walking distances. The Windy City isn't just a hub for commercial airlines: over eight million birds migrate through town each autumn and spring. This beautifully illustrated guide highlights over 140 familiar and unique species and includes an ecoregion map featuring prominent bird-viewing areas. Laminated for durability, this lightweight, pocket-sized folding guide is an excellent source of portable information and ideal for field use by visitors and residents alike. Made in USA. Discover Chicago's unique neighborhoods, and find a unique perspective on the city's architecture via a river cruise. Admire the Art Institute's world-class collection, enjoy the shopping haven of the Magnificent Mile; or cheer on the Cubs at Wrigley Field. 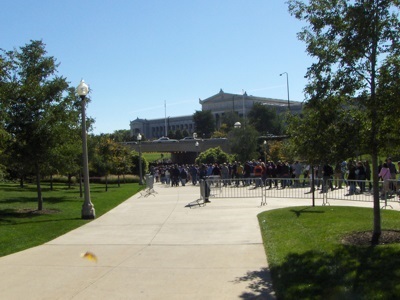 Take a drive along the picturesque waterfront of Lake Shore Drive from the Art Institute at Grant Park to the Museum of Contemporary Art, the Museum of Science (home to Sue, the city's beloved Tyrannosaurus Rex) to the architectural oasis of the Illinois Institute of Technology campus and Oak Park. All these sites are clearly marked and indexed on the STREETWISE® Chicago city map. Also included are an enlarged detailed map of the downtown, an area map that includes the major routes and surrounding towns of Chicago and a map of the Metra system. The pocket size map of Chicago is laminated for durability and accordion folding for effortless use. For more detailed exploration on this magnificent city, check out the Michelin Green Guide Chicago and the MICHELIN Guide (Red Guide) Chicago, for the best selection of restaurants in town. Lonely Planet Chicago is your passport to the most relevant, up-to-date advice on what to see and skip, and what hidden discoveries await you. Admire Chicago's architecture on a river tour; visit the Art Institute of Chicago, or see a show at one of the city's 200 theaters; all with your trusted travel companion. Get to the heart of Chicago and begin your journey now! Fodor's Chicago is the perfect companion for a trip to this quintessential American city. With colorful features and the most updated information, Fodor's Chicago gets straight to the best of what this city has to offer, everything from art to architecture to shopping, baseball, jazz, and the very best deep-dish pizza. Our in-depth coverage also includes top reasons to visit the culturally and historically rich suburbs of Chicago, including Frank Lloyd Wright's Oak Park home studio, the Mallott Japanese Garden at the Chicago Botanic Garden, and the Brookfield Zoo. Written by locals, Fodor’s Chicago is the perfect guidebook for those looking for insider tips to make the most out their visit. Complete with detailed maps and concise descriptions, this Chicago travel guide will help you plan your trip with ease. Fodor's Chicago is the perfect companion for a trip to this quintessential American city. With colorful features and the most updated information, Fodor's Chicago gets straight to the best of what the "Second City" has to offer, everything from art and architecture to shopping, baseball, jazz, and the very best deep-dish pizza. Our in-depth coverage also includes the best of Chicago's culturally and historically rich suburbs, including Frank Lloyd Wright's Oak Park home studio, the Mallott Japanese Garden at the Chicago Botanic Garden, and the Brookfield Zoo. •UP-TO-DATE COVERAGE: Fully updated, including fresh reviews of the best new eateries and lodgings in Chicago's many exciting neighborhoods. •ULTIMATE EXPERIENCES GUIDE: A spectacular color photo guide highlights the ultimate unmissable experiences and attractions throughout Chicago to inspire you. •PULLOUT MAP AND DETAILED MAPS: A handy PULLOUT map will help you navigate on the go. Full-color and full-size street maps throughout will help you plan efficiently and get around confidently. •GORGEOUS PHOTOS AND ILLUSTRATED FEATURES: Rich, full-color features invite you to experience the best of Chicago, from what to eat and drink to which tours take. An in-depth illustrated feature on the Art Institute of Chicago helps you make the most of a visit to this magnificent museum; a history of the skyscraper explores the city's iconic architecture. Other features focus on the life and work of Frank Lloyd Wright and blues music. •ITINERARIES AND TOP RECOMMENDATIONS: Walking tours help you plan and make the most of your time to explore Chicago's best public art and iconic architectural highlights. A useful itinerary helps you plan three days in the windy city. Includes suggestions on what to see, where to eat, stay, and shop as well as information about nightlife, sports and the outdoors. “Fodor’s Choice” designates our best picks in every category. •INDISPENSABLE TRIP PLANNING TOOLS: Convenient overviews show each neighborhood and its highlights, as well as tips for planning your time and getting around by car, bus, and train. Mapped walks, top tour recommendations, and our curated list of free things to do make planning a breeze. •SPECIAL EVENT COVERAGE: Information for experiencing the Chicago Air and Water Show , the Chicago Jazz Festival, the Chicago Blues Festival, and the Taste of Chicago, to name just a few. •COVERS: The Magnificent Mile, the Chicago Art Institute, Shedd Aquarium, Adler Planetarium, Wrigley Field, Navy Pier, the Loop, Frank Lloyd Wright architecture, and more. Planning on visiting other great U. S. cities? Check out Fodor’s Washington D.C., Fodor's New Orleans, and Fodor’s New York. Expert travel writers have fully revised this edition of DK Eyewitness Travel Guide: Top 10 Chicago. • Brand-new itineraries help you plan your trip to these areas of Chicago. The perfect pocket-size travel companion: DK Eyewitness Travel Guide: Top 10 Chicago. Recommended: For an in-depth guidebook to Chicago, check out DK Eyewitness Travel Guide: Chicago, which offers a complete overview of the city; thousands of photographs, illustrations, and maps; and more.